Presenter Kirsty Wark’s enthusiasm overcame her diction a few times, Michael Manser managed a silent-comedy double-take sight gag worthy of Buster Keaton, Grey Wornum’s 66 Portland Place appeared to have been decked out inside with Poundland Christmas decorations, and they actually managed to mis-spell the name of the winner when it flashed up on the screen. It’s Haworth Tompkins, not Howarth, whoops. Zaha and her entourage arrived habitually late, filing in half-way through President Stephen Hodder’s introduction. The winners were left standing in the dark on stage at the end, not sure if they were meant to stay there or depart (eventually they departed). As is now traditional, the favourites went home depressed. Welcome to the slightly shambolic but richly entertaining world of the 19th Stirling Prize night. Detail, detail. 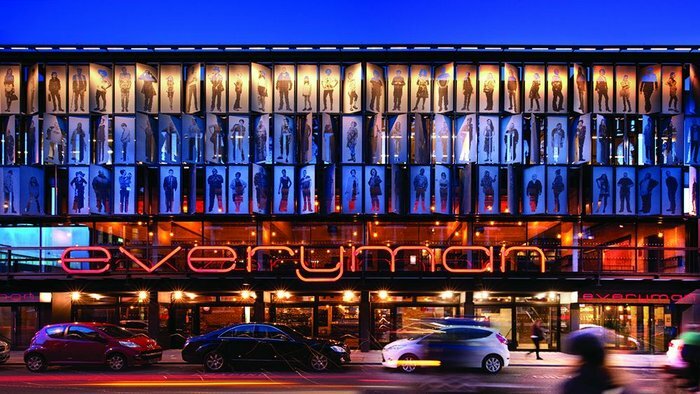 Enough carping – instead, huge congratulations to first-time Stirling prize winner Haworth Tompkins and the team from the Liverpool Everyman Theatre. Respect also to Steve Tompkins for managing to remain completely unfazed by his emotionally overwrought ultra-luvvie client, Gemma Bodinetz, who declared that their relationship amounted to a love affair, immediately apologised to Tompkins’ wife, hastily and repeatedly added the word ‘platonic’, and then collapsed in giggles or possibly tears, hard to tell. Tompkins’ splendid disregard of this hammy performance suggested that he’s got well used to it over the 10 years it’s taken to build the Everyman. For the audience, it was great – at last a heart-on-sleeve client who isn’t the usual guarded personality! But she wasn’t Client of the Year – that accolade went to Manchester Metropolitan University for its School of Art by Feilden Clegg Bradley. Not quite winning the Stirling always hurts and for Sheila O’Donnell and John Tuomey, who have been in that painful position four times before, it was plain that being Royal Gold Medallists in waiting did nothing to dull the agony of not seeing their Saw Swee Hock student centre at the LSE walk away with the Prize. Mournfully they received commiserations, chinked glasses with each other, pulled themselves together and went off to congratulate Tompkins and Graham Haworth. In contrast, Zaha was all smiles – well, she’s won twice before. She didn’t hang around, though. The stoic attitude of the other contenders suggested they’d discounted their chances of winning in advance. Slight confusion was sown earlier in the day by the announcement of the ‘public vote’ run by the BBC alongside its excellent online coverage of the shortlist and winner. That vote was won by the Library of Birmingham following a very successful campaign on social media which the whole city seemed to get behind. Well done to them – but this did mean that some people – including a senior newspaper exec of my acquaintance – started to think the Prize had already been announced. 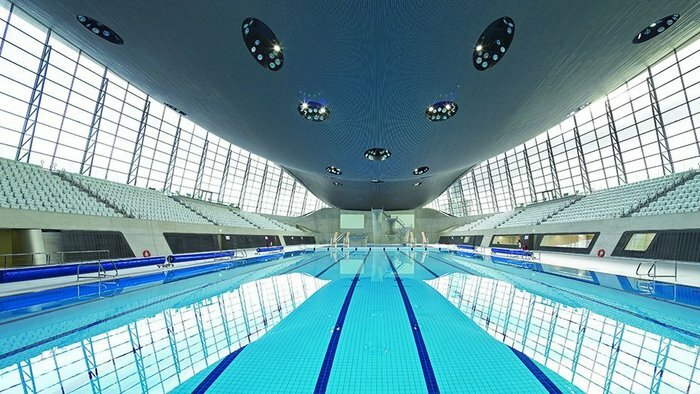 Does the public get a say in the Stirling Prize or not? Well not, quite rightly, because only the judges get to visit all the buildings instead of just looking at photos, and the winner is not influenced by social media campaigning. Maybe this needs to be made rather clearer next year. Heartwarming moment: when Murray Kerr of Denizen Works, the architect of House No.7 on Tiree that won the Stephen Lawrence Prize, looked out over the audience and declared: “Here come my parents.” For it was they, his clients, coming to join him on stage. Ahhhh. And then there was the Welsh architect, Penarth-based Chris Loyn of Loyn & Co, declaring how hard it was to get anything much of quality built in Wales: 27 years of struggle, he said, were finally justified by winning the Manser Medal for the practice’s house Stormy Castle on the Gower Peninsula. 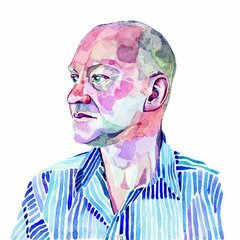 Michael Manser reminded everyone that the point of the Medal was to produce examples that would inspire volume housebuilders – with, he admitted, only limited success thus far. Certainly hard to see how a very fine one-off rural house of this polished-concrete-floor variety would interest Barratt and Persimmon, but you never know. As for Manser’s Buster Keaton double-take – you had to be there. He enjoyed it as much as us. We await with interest the Test of Time special award announced by RIBA chief exec Harry Rich for next year, along with the new International Award trailed by Hodder. A special award is due to Hodder, I reckon, for staying calm and professional throughout and for producing, like a rabbit out of a hat at the end, an unsolicited email testimonial he’d received from an architecture fan in Dorset congratulating the RIBA on getting the message of good architecture out to the public through the BBC. And that’s right – it wasn’t really about the people or the minor gaffes on the evening, more about showing what architecture can do to improve people’s lives out there. As Spencer de Grey, chair of the Stirling judges and senior Foster partner, pointed out, the Liverpool Everyman is truly a community building – and with its natural ventilation and recycled materials, remarkably sustainable with it. With architecture, you really can have it all.